A new iGaming star joins the rank of Quickspin! Indeed, the industry veteran Thomas Rhys Jones joins the slot supplier to further increase its footprint on a global scale. He has a decade-long experience in account management in the casino sector. And so, Jones is more than fit for his new role. Indeed, the new hire brings along a wealth of experience in the casino and the gambling industry. Before, Jones was the Commercial Director at XCaliber. Also, he previously worked for Cherry and Tivoli. He’ll lead the AM department from Quickspin’s main office in Malta and report directly to the CCO Paul Myatt. On the occasion, Myatt welcomed him on board. He said Quickspin dedicates a lot of effort to attract the best talent the industry can offer. “We’re happy to have Thomas on board. He has extensive experience, knowledge, and enthusiasm. It will ensure our clients receive an unmatched level of service,” he commented. Since Quickspin‘s foundation in 2011, they have quickly become a leading development studio. Since then, its award-winning content holds licenses in various regulated markets. Also, the Swedish company provides its services to many top-tier operators like InstaCasino and LeoVegas to name a few. And so, there’s no doubt it’s a major opportunity for the veteran Account Manager. In fact, Jones said he’s happy to take on a new challenge. 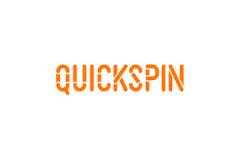 “Quickspin has already established itself as one of the market’s top suppliers. And I’m looking forward to taking their business to the next level. It’s an exciting time for the firm. And I’m thrilled to be a part of it,” he proclaimed after he took on his new role at the company. We wish Mr Jones the best of luck in his new position as Head of Account Management.